Marmalade Badger offers specialist paint finishes for both residential and commercial properties, as well as furniture. Our unique handcrafted specialist paint finishes are second to none and offer a stylish edition to any home. 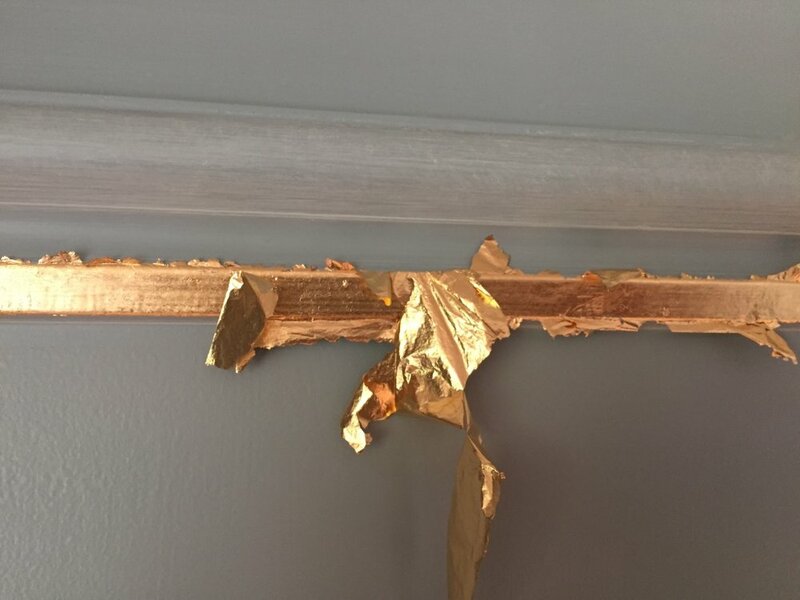 Gold leaf is gold that has been hammered into extremely thin sheets and is often used for gilding. 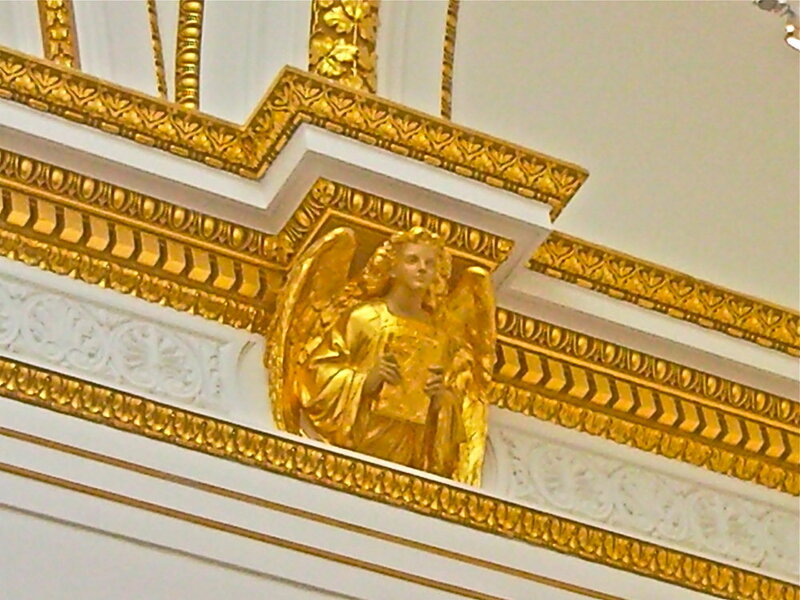 Gilding or gold leafing is the layering of gold leaf over a surface. Gold leaf is available in a wide variety of karats and shades with 22-karat yellow gold being the most commonly used. Gold leaf is sometimes confused with metal leaf but they are different products. The term metal leaf is normally used for thin sheets of metal of any colour that do not contain any real gold. 24 karats is pure gold. Real yellow gold leaf is about 92% pure gold. Silver coloured white gold is approximately 50% pure gold. These also come in powder forms. A coloured size is used which consists of a varnish and a pigment (usually yellow or red). Once this has almost dried the gold is introduced, either loose leaf (using a squirrel haired brush) or on a transfer sheet. This process can be repeated as often as is required. Gold does not tarnish easily so a protective covering is not always required. louding is a free-form finish that creates subtle variations of colour using multiple hues of glaze blended together with a paint brush. Parts of the glaze are removed with a clean dry stockinette and then softened to re-blend. To protect this finish one or two coats of a dead flat varnish are usually required. Wax is also a good material to seal and protect. olour Washes are the most commonly used and seen form of specialist paint finish. A glaze is applied to a surface and a dry brush pulled through in all directions. This process can be repeated several times to give depth of colour. Marbling or faux marble is used to make walls and furniture look like real marble. To create the Marbling effect layers of broken colour glaze are applied and using natural sponges and linen rags, parts of the glaze is removed. Feather quills are also used to take off parts of the glaze and also to add colours to give the impression of natural veins in the marble. Flicking water or white spirit (depending on the medium used) from a badger brush gives the appearance of pitting in the faux marble. Badger hair brushes are also used to soften these applications and to pull the glaze out. Greaseproof papers can be cut to size and applied to a surface and removed after glazing to give the impression of a plain segment of stone such as can be found in green marble. To protect these finishes and to add an amazing depth a gloss varnish is applied, sometimes up to ten coats for a dramatic effect. Any type of marble can be replicated or even one that doesn’t exist – this is called a fantasy marble. Leather Effects are produced in much the same way as ragging. It’s a glazing technique using plastic bags to create a textural pattern. Very simple but gives a wonderful movement of colour with sharp lines. Amural is any piece of artwork painted or applied directly on a wall, ceiling or other large permanent surface. A particularly distinguishing characteristic of mural painting is that the architectural elements of the given space are harmoniously incorporated into the picture. Murals today are painted in a variety of ways, using oil or water-based media. The styles can vary from abstract to trompe-l’œil (a French term for “fool” or “trick the eye”). Murals in a simple free hand form are great fun for nurseries. Ragging is a glazing technique using twisted or bunched up rags to create a textural pattern. Very simple but gives a wonderful movement of colour. The key advantage of a stencil is that it can be reused to repeatedly and rapidly produce the same letters or design. Our hand made stencils can be of anything you can think of – the only limit is your imagination. Pictures are traced and then copied onto plastic or cardboard sheets and then cut with a scalpel. Pigment is then applied through the cut-out holes in the material. Stippling the pigment through these cut out holes or spraying prevents bleeding between the stencil and the surface it’s on. Stone Effects, or faux stone can be used as hand painted individual blocks on walls (inside or out) to give the effect that stone bricks/blocks were used in the property’s construction. On banister sticks, mantlepieces and other furniture in a softer form a stone effect can also very effective. A medium of paint is applied to a surface and whilst still wet or open other colours are applied in small amounts and then stippled to blend and to break up the surface. This stippling effect can be used with just a single colour. Together these techniques create the effect of real stone. To protect these finishes and to add an amazing depth to the stone effect a gloss varnish is applied, sometimes up to ten coats for a dramatic effect or for a softer effect an eggshell lustre varnish. Wax is also a good material to seal and protect. Wood Graining, or faux bois is often used to imitate exotic or hard-to-find wood varieties. To create the Wood Graining effect layers of broken colour glaze are applied and using different techniques (depending on what woods are to be replicated) parts of the glaze is removed. Rockers, combs, flogging brushes, dragging brushes and even old hard bits of leather are used in this process. These techniques together create an amazingly life-like wood graining effect. 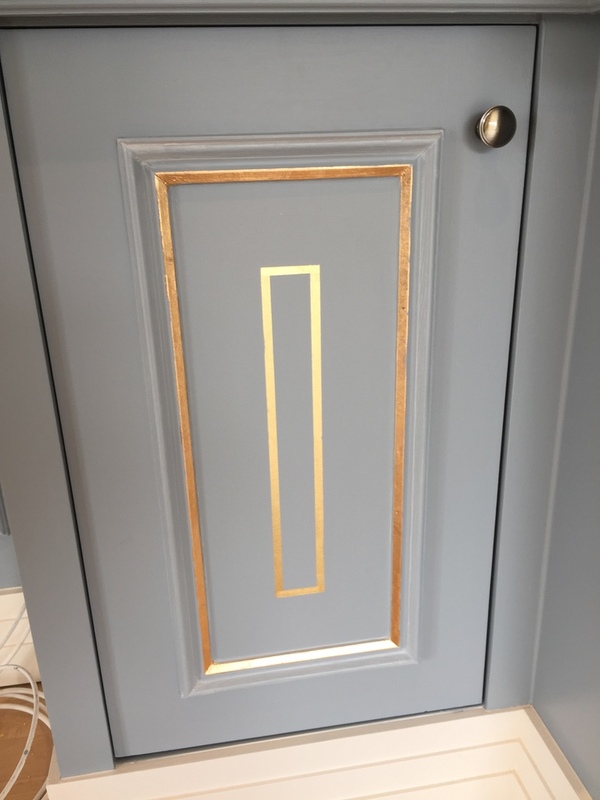 To protect these finishes and to add an amazing depth to the Wood Graining a gloss varnish is applied, sometimes up to ten coats for a dramatic effect or for a softer effect an eggshell lustre varnish. Wax is also a good material to seal and protect the Wood Graining.